At Blaze Media Group we are performance driven and focused on getting your business the greatest possible reach and return on investment by targeting your campaigns across a wide array of media platforms. We are experts in the utilization, optimization, and management of search, display, and video advertising, and work diligently to build your brand while reducing and controlling your costs. We care about our client’s success and strive to keep you involved in our process. We value transparency and believe that our clients should always have access to their paid search data. We know you're busy so we create customized dashboards and reports to ensure you can be “in the know” at all times. Which is probably why we are so highly regarded as being the number 1 PPC agency in the United States and beyond. Automation, machine learning, attribution modeling, and audience targeting are now a reality when creating and managing your paid media campaigns. Which is why it is so important to have a PPC agency that understands these technologies, and that has the ability to leverage these tools to ensure your PPC campaigns perform. Learn how we integrate these features to enhance keyword research and targets, content testing, and bid adjustment strategies. Everything we do is intended to support you in achieving better results with your marketing budget. Supplementing keyword targeted campaigns with dynamic automation and enhanced keyword tracking is replacing traditional keyword campaigns. Do the keywords in your paid media account appeal to multiple audiences? Are those audiences actually valuable in achieving your goals? Do you know when a user searches a keyword on Google that they are actually relevant to your business? At Blaze Media Group we are committed to being your PPC agency partner, which is why we use highly effective remarketing lists for search ads, and customer match audience targeting as well as in-market and affinity audience strategies to help our partners enter and win auctions that have a higher tendency to convert to paying customers. By ensuring we are targeting the most relevant audiences we’re able to produce significantly higher results compared to traditional keyword only PPC campaigns. If you have a significantly high number of products or a large inventory you can benefit from Dynamic Search Ads or data feed inventory managed campaigns. This is where we come in. As your PPC agency partner you can count on use to build, optimize and manage your dynamic search campaigns. 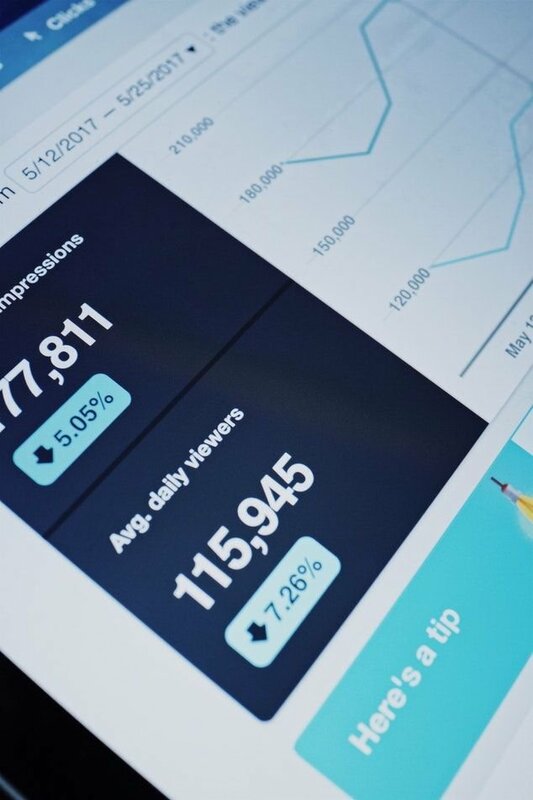 We can help integrate your data feed and automatically create highly relevant ads which direct to the correct landing pages based on a specific phrase a user searches for online. This helps generate additional long-tailed keyword data which in turn can lower your average cost per click when using paid media. Dynamic Search Ads can increase your campaign's performance by up to 30% or more when leveraged with the proper technology. We take a systematic approach to content and ad copy creation. We invest significant time and resources into ensuring your content performs at the highest possible level through A/B testing, ad rotation optimization, and ongoing ad copy adjustments. We implement customized strategies based on your needs to ensure your ads are written in a way that engages your prospective customers at the right time. As your PPC agency partner we focus on understanding your audience, and designing your campaigns to reach them when they need you the most. We use a micro-moment strategy when creating content to ensure your ad copy reaches users at the correct moment in the buying cycle. We focus ad copy to attract users with buying intent and engage these users with customized content to assist them in navigating to the correct landing page on your website. We use a mixture of talent and technology tools to ensure you win in the PPC auction. We focus on bid strategies that allow you to flexible by prioritizing specific keywords, audiences, geographic area, device platforms, and even the time at which your ads will show. Our bid strategies help ensure you remain within your target budget while also providing you the optimal use of your fiscal resources. Attribution modeling is at the heart of our paid media strategy. We optimize campaigns to mirror the most effective attribution model to help ensure a positive ROI for our partners. Perhaps this is why we are so highly regarded as the premier PPC agency in the United States. At Blaze Media Group we are focused on consistent optimization of our client’s accounts, and continually review objectives to ensure we are hitting the mark when it comes to your expectations and ROI. We understand that selecting the right PPC agency to manage your digital marketing is a big commitment. We will provide you and your team with a Free Brand Analysis to ensure you understand our strategy and have the information you need to make an educated decision.